Playing time = 8 : 44 minutes. Flash file size = 56,414 kB. Wat Arun - Full Length Video. 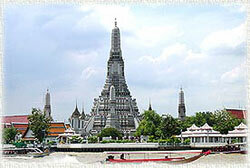 This is a rebuilt full length video of Wat Arun. The total playing time is 8 : 44 minutes.